You know what really bothers me? It’s when every single piece of fruit you buy has a sticker tightly affixed to it. And I mean tightly: tighter than Donald Trump and Putin. Despite rumors to the contrary, those stickers aren’t edible. 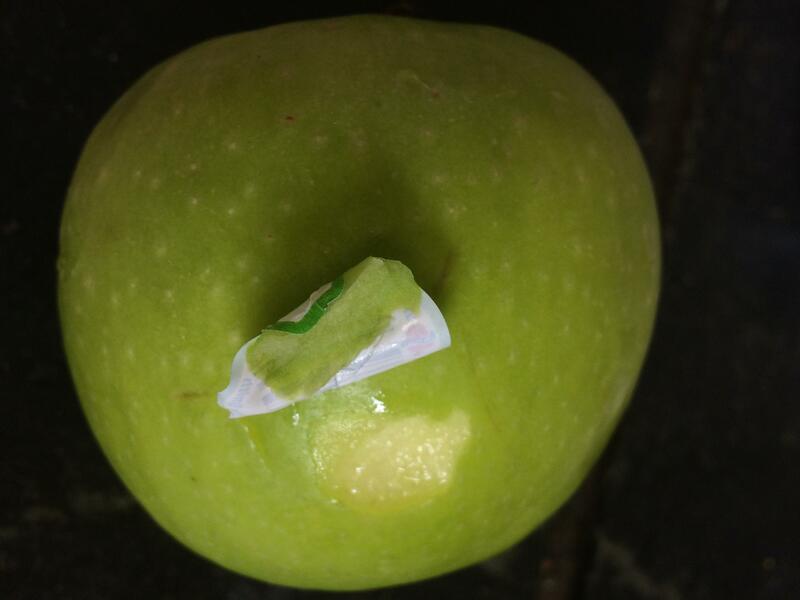 After lunch today I was all set to have a nice, tart Granny Smith apple that, as usual, was marred by a fruit sticker. This one was on tight, too, so when I removed it a piece of the apple peel came with it (picture below). Somehow that ruined my mood. The apple was besmirched.